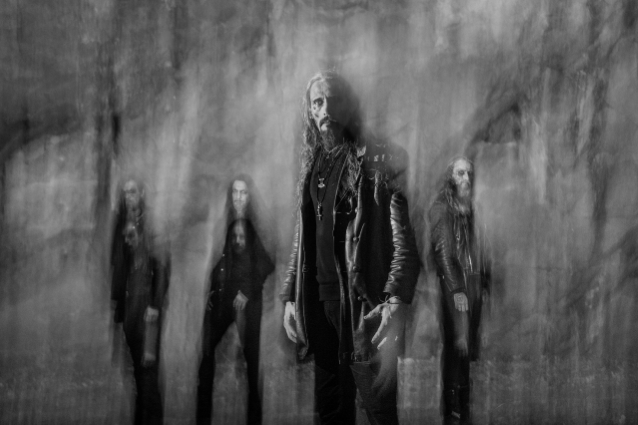 Share the post "Former GORGOROTH Frontman’s GAAHLS WYRD: ‘Carving The Voices’ Video"
“Carving The Voices”, the new video from Norwegian extreme metal formation GAAHLS WYRD, fronted by renowned vocalist Gaahl (GORGOROTH, WARDRUNA), can be seen below. The song is taken from GAAHLS WYRD‘s debut album, “GastiR – Ghosts Invited”, which will be released on May 31 via Season Of Mist. The disc was recorded last year at Solslottet Studios in Norway with Iver Sandøy (ENSLAVED). Those who are expecting a blasting black metal offering are in for something unexpected. Even though “GastiR – Ghosts invited” is firmly rooted in extreme metal, Gaahl‘s vocal delivery on this record is something out of the ordinary and the first class riffing in combination with the excellent musicianship is bound to take you places you’ve never been before. Gaahl is known as one of Norway’s most-talked-about and respected extreme metal musicians. His work with TRELLDOM, GORGOROTH, WARDRUNA and GOD SEED has been widely regarded as some of the best the black metal scene has had to offer. Under the moniker GAAHLS WYRD, the vocalist assembled some of Norway’s finest metal musicians. The band consist of Ole Walaunet (THE BATALLION, GOD SEED, GRIMFIST), Frode Kilvik (KRAKOW, AETERNUS) and Kevin Kvåle (HORIZON ABLAZE). This highly qualified bunch recently toured a finely selected, career spanning repertoire from Gaahl‘s time in TRELLDOM, GORGOROTH and GOD SEED to great acclaim.